Europe's summer ski season is ready to begin in earnest as a number of resorts gear up to welcome visitors attracted by the region's glaciers. The popular French alpine resort of Val d'Isere opens on June 11 for five weeks of snow sports activities on the Pissaillas Glacier. An unexpected spell of snow early this month will mean even better conditions for skiers at Val d'Isere. The neighbouring resort of Tignes in the Espace Killy area also received snow and is set to open a week later. Ski enthusiasts planning to try the slopes at Les Deux Alpes this summer should also get their sports travel insurance ready in time for the resort's opening on June 18. 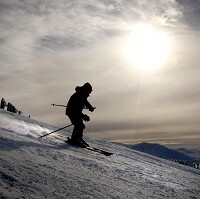 A number of ski destinations the southern hemisphere, where it is winter season now, are gearing up for the start of sporting activities. Australian holiday hotspots of Falls Creek, Mt Baw Baw, Mr Hotham and Selwyn Snowfields and Perisher are all officially set to open on Saturday. In New Zealand, Mt Hutt will start off the season on June 11 followed a week later by the adjoining The Remarkables ski area.